When you need a loan for anything -taking that long awaited vacation, furniture, appliances, paying off higher interest loans or fixing your automobile, Members Choice is here to help you make the decision that’s best for you. That’s what we do and what we’ve done since 1935. Qualified individuals can borrow up to $5,000 with up to 48 months to repay. There is no need to go to the “other places” first. Check with Members Choice FCU first and you may be surprised at the money that you can save vs. credit cards, payday loans or other forms of loans. Why not save money if you can? An informed decision is the best decision.  All loan rates and qualifications depend on approval of credit and application. Loan rates are based on and determined by your credit score. If you live, work, worship or study in McLennan, Bosque, Coryell, Falls, Hill, Limestone, Milam or Robertson Counties (Texas) then you are eligible to apply. Membership is required and satisfied with a minimum balance of $5. Members Choice of Central Texas is a not-for-profit financial institution that is owned and operated by it’s member-owners.